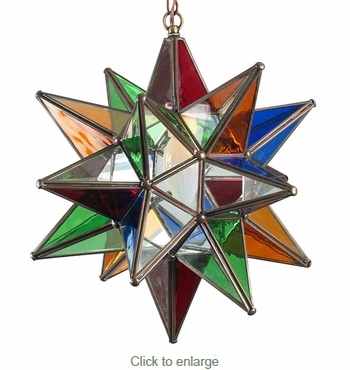 Add colorful southwest flair to your home with a Mexican glass star light. The translucent colored glass panels on this hanging star lantern create a beautiful warm glow in your home or on your patio. This multi colored glass star lamp was handcrafted by Mexico's talented craftsmen.